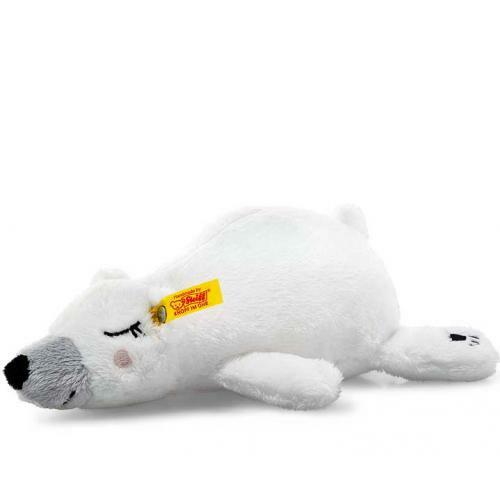 The Soft Cuddly Friends Iggy polar bear is 20 cm tall and is the perfect cuddly bear friend. He prefers to sleep all day. His stitched-on eyes are closed. 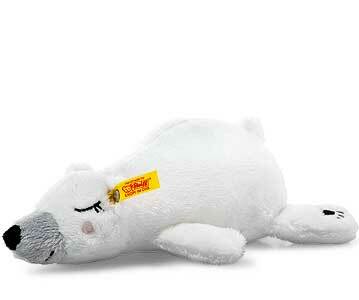 The sewn-in bean bag in his belly gives him support and prevents him from shifting around in the child's bed.